SHE is often credited with enabling women to do a greater and more varied range of roles in Indian cinema than ever before. Zeenat Aman, Bollywood star of the 1970s and 1980s, left no one in any doubt as to her talent and charisma yesterday (March 27). 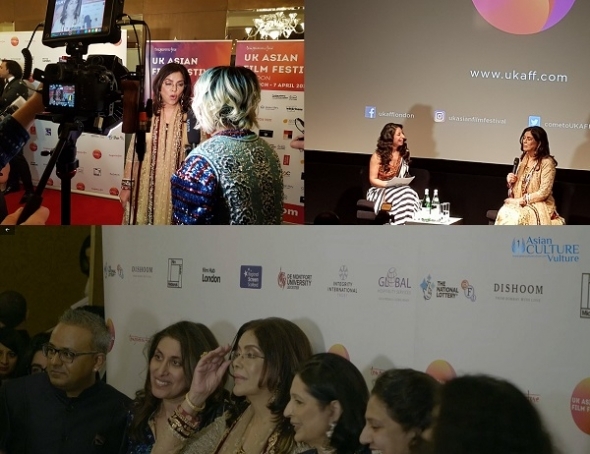 Speaking with Anushka Arora at the opening gala event of the UK Asian Film Festival in London, she was the epitome of grace and charm. It was clear that many, at the May Fair Hotel in London last night, had come to exorcise a few romantic ghosts – “you were my hero, my (girl) crush, my absolutely favourite film star”. She took it all in her stride and more – educated at a convent school, she was more familiar and comfortable in English. It showed – she is articulate and assured and has an international accent, clearly educated but unplaceable. She initially broke through Indian cinema playing unconventional female roles and it was the legendary Dev Anand who effectively brought her gifts to the big screen. Intially, she was best at playing the outsider – ‘Angrezi’, it was a given that you did not need to speak Hindi like a local. Nevertheless her early films played to her talent and undoubted beauty. She says nothing was planned and she often judged a film by the talent and director behind the project. Arora asked about her male leads – Anand, Rajesh Khanna and Amitabh Bachchan. Of Khanna, she said that shortly after news of his marriage, women in India had almost literally killed themselves but she didn’t let on too much – it wasn’t anything she couldn’t handle, seemed to be the tenor of her dealings with Khanna. Bachchan was “tall, and gangly” and didn’t really know where he was going (at that time) – but he was charming, gracious and fun. She said she didn’t care too much – maybe not at all – for her public persona. It was, she said, manufactured to sell magazines and newspapers. She preferred to give her all in front of the camera and let the cinema-going public decide. She urged Aman to come and work in British theatre – and responding to an early question about why she didn’t appear in films any more, she said:“There are no age appropriate roles” in Indian cinema generally. She said also that she had devoted much of her life after films to her two sons and had been a single mother for many years. KASHMIR has become a forgotten place. That seems a slightly silly remark – considering that the region almost brought India and Pakistan to war again recently. Last night though, the opening gala film of the UK Asian Film Festival had much to say to all of us. You forget how stunningly beautiful the region is, how delicate and artful its general culture is and how the world is denied access to this by the ongoing conflict. In some ways, any film about the region is a lament. How in God’s name did we arrive at this abysmal situation, the film asks? ‘Hamid’ does not offer any straight answers and is very even-handed about where blame might be apportioned. 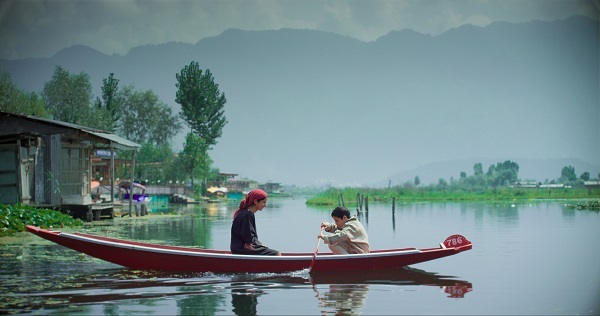 The lead character, ‘Hamid’, is only seven years old and is brilliantly reprised by Talha Arshad Reshi, a local schoolboy from Srinagar – producer Shoaib Lokhandwala revealed in the post-screening Q&A with Samir Bhamra, the creative director of the UK Asian Film Festival. Hamid’s father goes missing one night, an amateur poet and boatmaker, he arouses suspicion by returning to his place of work to retrieve some batteries for his son. It is sadly not unusual for people to disappear suddenly – Hamid is naturally upset and distraught and believes that when sympathetic folks tell him ‘he (his father) has gone to Allah’, takes it a bit too literally and believes, sweetly, that his Dad will return when his work with Allah is done. His mother Ishrat (Rasika Dugal) is also devastated, but puts a brave face on her life and continues as much as normal for much of the film. Meanwhile, we see Indian soldier ‘Abhay’ (Vikas Kumar) begin to struggle with the constant pressures of being a target of protesters and the potential victim of terrorists, capable of far more than chucking stones. He stresses about leaving his wife and daughter alone in the world. The film harnesses an unlikely ‘friendship’ between Hamid and Abhay and the adult begins to think slightly differently about the situation. It’s a heart-rendering tale and beautifully shot and the music by Mumbai-based Andrew T Mackay adds another superb dimension.